With the warm winds of spring come the white wines for summer. Here are three good values to share, from least expensive and most clean to the more complex and fuller bodied. Naked Grape Chardonnay, Mayfair Wine, $7/bottle. With a greenish tint and aromas of citrus, honeysuckle and grapefruit on the nose. In the mouth, a blend of crisp white pear and green apple. Clean, refreshing, enjoyable without barrel or mineral notes, this is a pure expression of the grape. A good value; I am surprised more people don’t buy Naked Grape wines simply to understand the grapes themselves at less than the price of a single glass elsewhere. 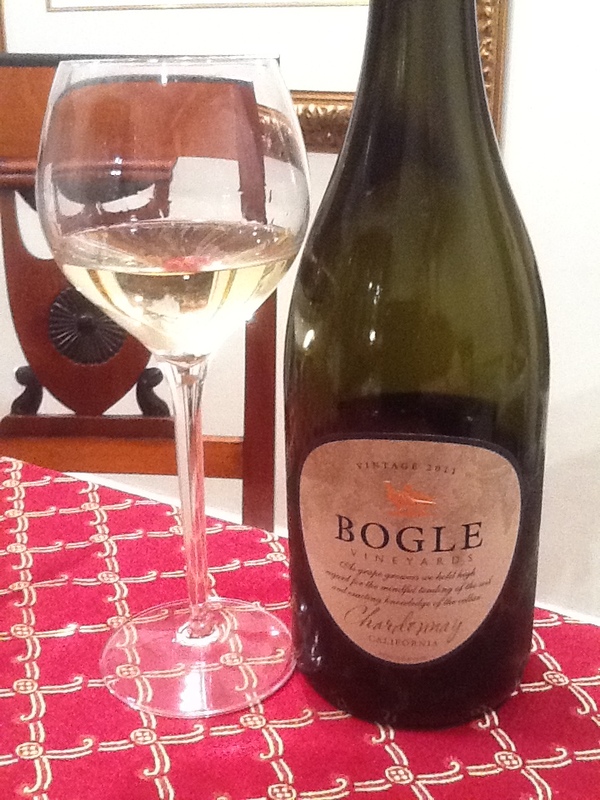 Bogle Chardonnay 2011, Clarksburg CA. Mayfair Wine, $11/bottle. Pale yellow green in color, this wine has a very delicate nose of wildflower and lemongrass. 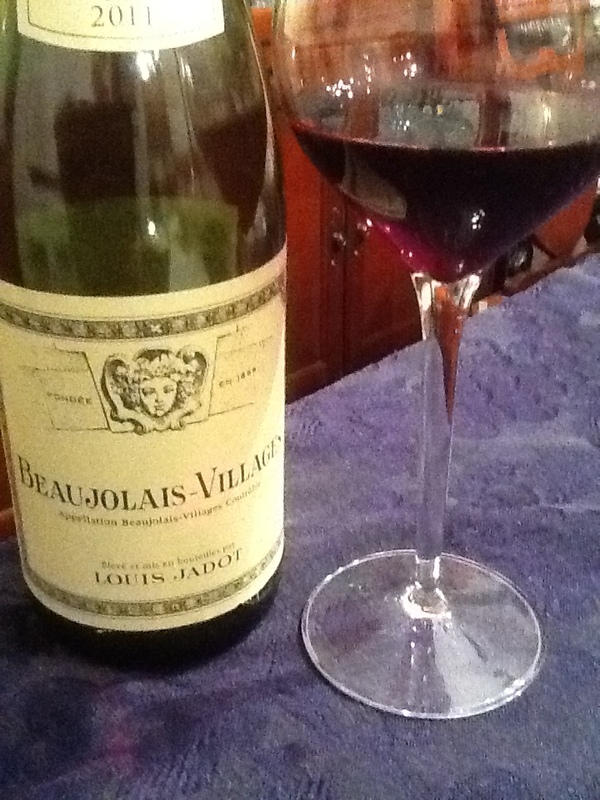 In the mouth, nice gentle fruit with good balance from the acidity, with added depth of oak. These grapes have been aged nicely on the vine and picked at the height of maturity. Delicious. I’ve been consistently impressed by the value offered from the reasonably priced wines from Bogle. This is another example of serious craftsmanship. Bright yellow color. Of the three wines, this tastes as if it is the longest barrel-aged with a long finish. 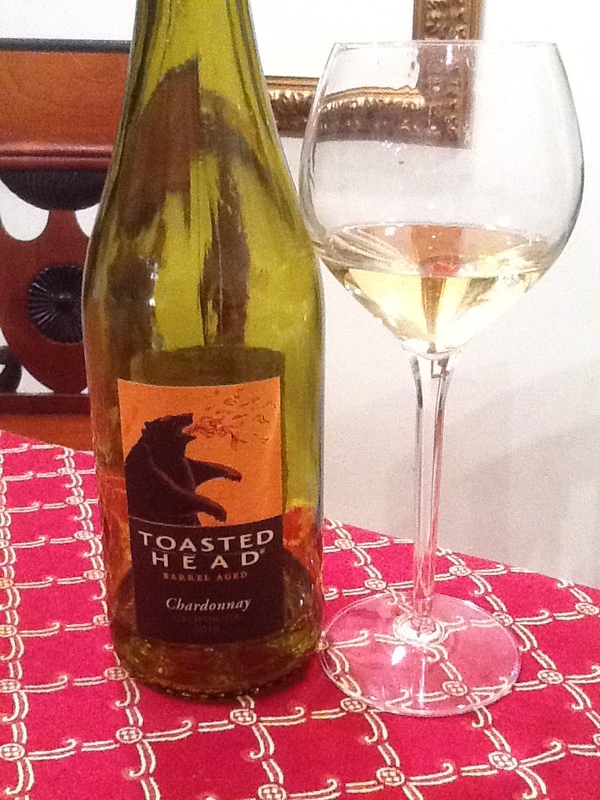 The ‘toasted head’ refers to the toasting of the barrel which transfers more oak flavor to the wine and in this case, the oakiness is superior to other elements in the wine. Rich, savory flavors dominate this wine, which is heavy to those who like a gentle wine but perfect for those who want more body in their chardonnay, or for a pairing choice. 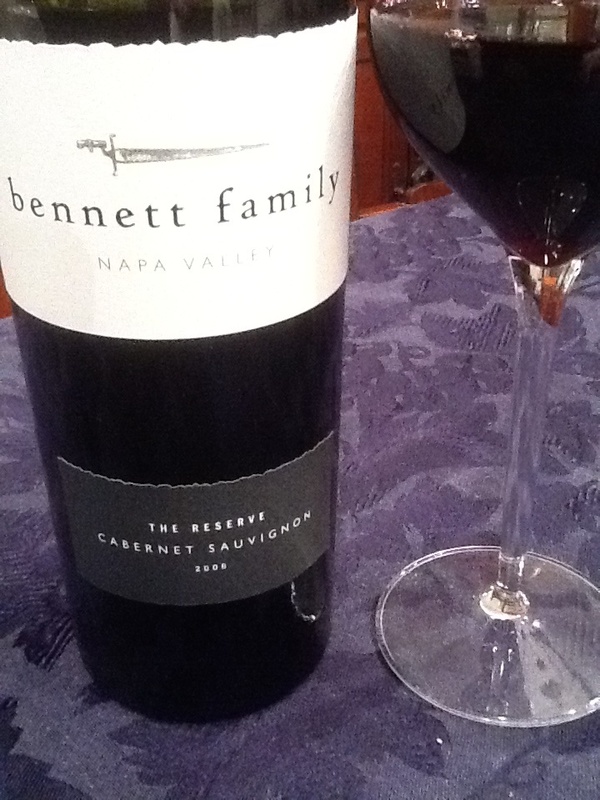 Bennett Family Reserve Cabernet Sauvignon 2006, Napa Valley. Sample from Wine Chateau, $20/bottle. Color is purple with ruby edging. A luxurious nose of black cassis berry with menthol, loam, musk and oak– I immediately thought of bottles aged over a decade with serious lineage and hefty price tags. In the mouth, a hot mixture (14.5% alcohol) of cassis, blackberry, and musk overtake the taste buds, with a hint of vanilla and wood in the long finish. 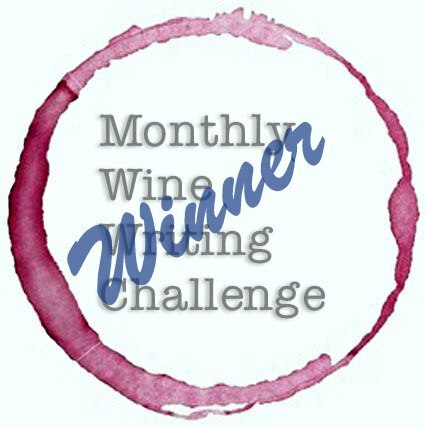 What I felt to be a feminine wine shows power with balanced acidity and soft tannins, puckering up the mouth for the next bite or sip. What a pleasure to taste a Napa wine with just enough age to allow the structure to develop! On my first tasting I refused to write anything as I enjoyed the wine, perhaps too much- which is an endorsement in itself. On my second tasting, I forced myself to stop, appreciate and note the herbal and mocha notes in the wine, though I enjoyed the qualities of the European-styled blending and aging more than the complexity of flavors. This wine drinks well at room temperature, but may be ideal when served slightly chilled to reduce the slight heat from the alcohol content, though the finish tapers slightly as a result. This wine drinks favorably to wines that are double its price without being as costly or as old. To me, this is a home run for the American wine drinker who looks for a bottle that can be a lovely gift bottle at $20 or a great bottle to serve for dinner with special guests without breaking the bank. Here, you have the best of old word charm from new world farming at a very nice price. Pick up a couple of bottles- one to taste, and one to share or give away- you’ll be glad you did. 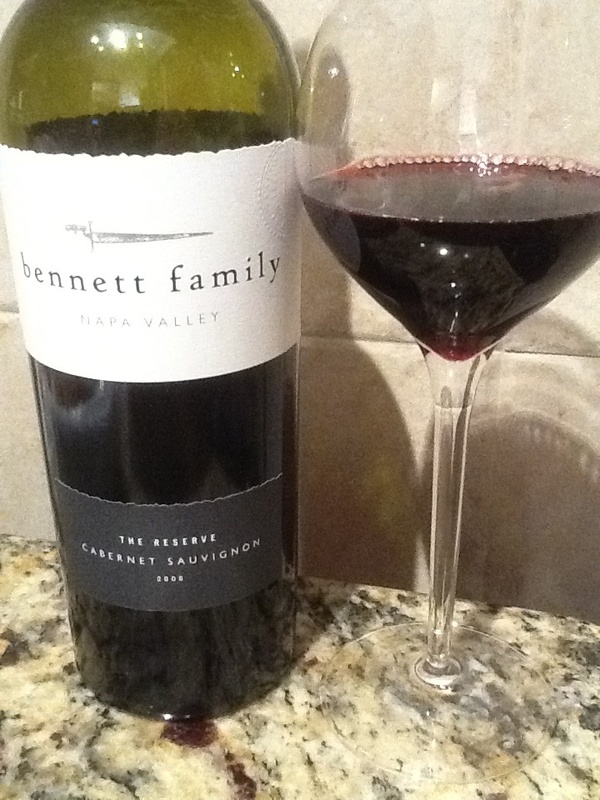 You can check out The Bennett Family’s site or buy their Cabernet Sauvignon Reserve direct from Wine Chateau.